Well here's something I hadn't seen coming from Olay . Olay Body Cleansing Buffer Duo Soothing Orchid + Black Currant is a unique new way to cleanse in the shower. This two sided disc is flexible and filled with a Orchid + Black Currant scented cleansing soap. All you have to do is wet it in the shower and it instantly creates a rich, cleansing lather. 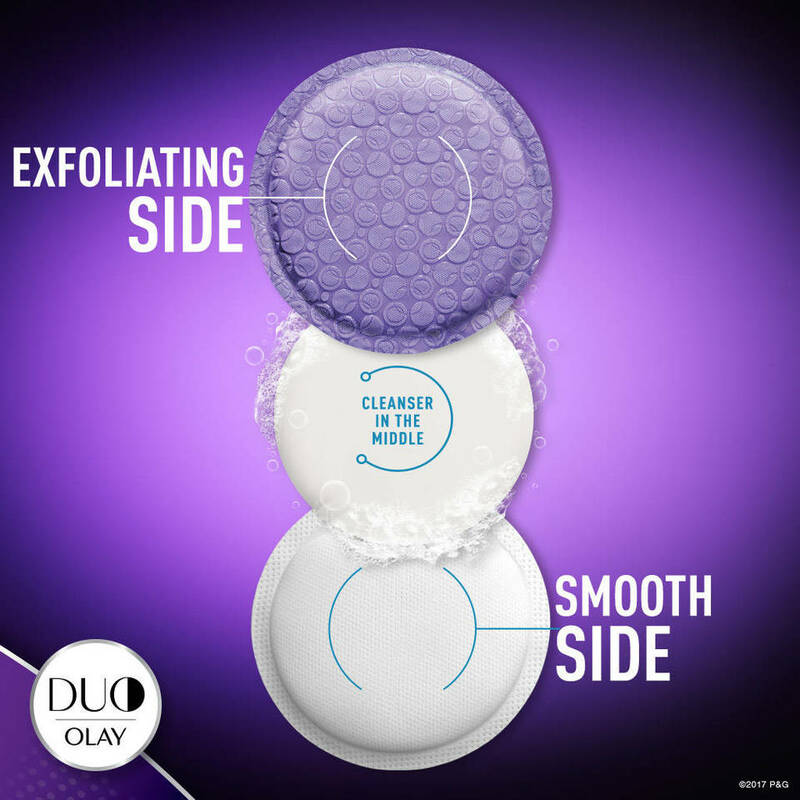 The white side of the disc is for cleansing and the purple, textured side is for exfoliation. It's flexible and easy to fit in your hand, to exfoliate any part of your body. Even better, the disc can be used up to 30 uses. Once I was done using the Olay Body Cleansing Buffer Duo Soothing Orchid + Black Currant I hung it up on my shower hook to dry (with the included white band a the top of the disk). When the lather dries and disappears, it's ready to use again. So what is it like cleansing with the disk? First, the scent was amazing. It's a rich floral with fresh, fruity notes that's not overwhelming. When the lather formed, it was the perfect amount for my shower - not too much or too little. I also loved the exfoliating side, as I really enjoy doing this! The exfoliating side was strong enough to be effective, but not too rough for my skin. After rinsing, my skin felt soft, smooth and clean without feeling stripped. 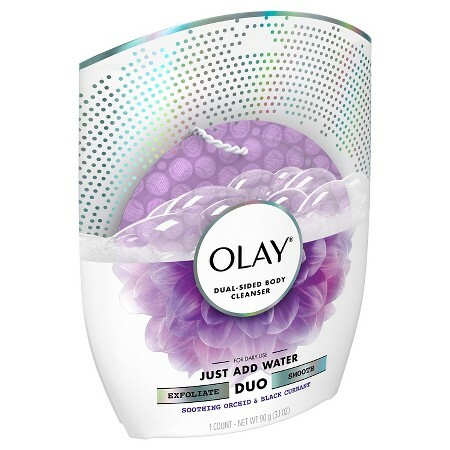 The Olay Body Cleansing Buffer Duo Soothing Orchid + Black Currant is really the best of both worlds - soap and body wash, along with a loofah action, all without having to switch hands, add product, etc. It you're looking for a quicker way to do your morning shower or post gym cleansing, it doesn't get any easier (but still pampering) than using Olay Body Cleansing Buffer Duo Soothing Orchid + Black Currant . I've used mine for at least 15 washes and it's still cleansing like it's brand new.